Home / Bob Confer / Columns / Daily Update / Exploring the Niagara Frontier / Features / Top / EXPLORING THE NIAGARA FRONTIER: What are those tiny pink flowers in your lawn? EXPLORING THE NIAGARA FRONTIER: What are those tiny pink flowers in your lawn? Dry summers like this one, when mowings are few and far between, reveal some interesting plants in our lawns that otherwise might be taken down by mower blades. 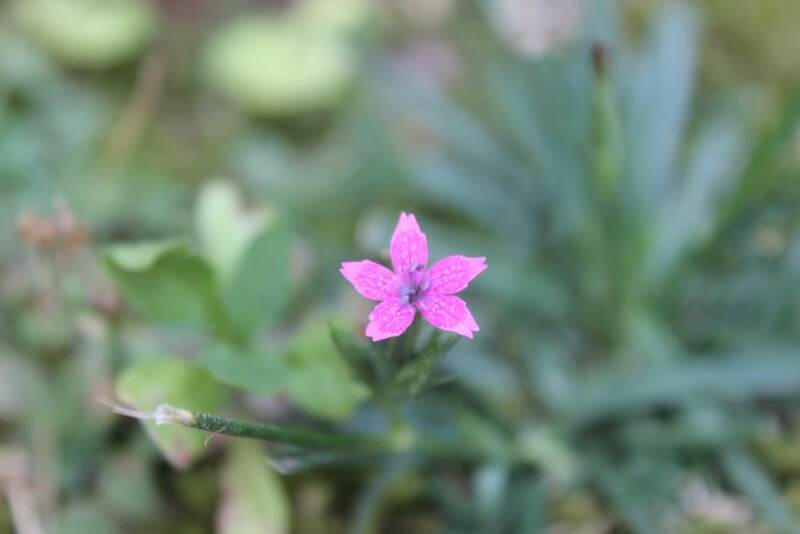 One that immediately comes to mind is the very small, pink flower that has been adorning Western New York lawns over the past week or so and will continue to do so for another two weeks. It’s especially noticeable this year when the dainty petals add a little bit of color to otherwise sunburned lawns. Those wee wildflowers have an easy name to remember. What’s easier calling a pink-colored flower a pink? The type you are most likely to see is the Deptford pink, named after Deptford, England where this invasive species defined the landscape. Back in the 1500s and 1600s, Deptford was a rural community just outside of London. These small flowers filled the fields and meadows there, making for a sea of brilliant color in the summer months. Those days are long gone as Deptford is now an industrialized commercial district of London, one that is overpopulated (so much so that realtors say the community is “not for the faint of heart”) and almost totally devoid of the green space that centuries ago defined the community as an easy-living alternative to urban London. Things have become so bad in the United Kingdom for this once-abundant plant that it is now listed as endangered there. Luckily, these beautiful flowers were saved from total destruction by being brought to the New World in the 1700s. No one knows for sure if it was accidentally or on purpose. Regardless, they have staked claim to the almost the entire United States and can be found in lawns, fields, roadsides, and “waste areas” (places being reclaimed by Mother Nature, such as brownfields). It’s one of those invasive species you can welcome. It doesn’t grow in great abundance; it doesn’t choke out native plants; and, they are nice to look at. It all comes down to that pretty little flower, which is no more than a third of an inch in width. They will often bloom when the plant reaches an inch or two in height, sporting a 5-petal star shaped flower that is brilliant pink. If you get down to ground level and give it a closer look, you will notice small white dots all over it. If allowed to flourish, the plant will grow to heights of 10 to 15 inches. The color pink actually got its name from this flower. It was long thought that the scalloped edges of the flowers looked like they were “pinked,” a process by which tailors and seamstresses cut zigzags into clothing to prevent fraying. That process is now accomplished by pinking shears, introduced in 1931, but prior to that it was done with much effort by hand. In old English, dating back to the 1300s, pink came about as a verb meaning, in essence, to pierce or stab. After comparing the petal’s edges to clothing affected by that process, the name pink was given to the plants. Then, from there, it was the name given to their brilliant color because everyone in old England was familiar with plant. We’re talking the days before Crayons, color swatches, and all that good stuff, so it was easy to anoint a name to a color, especially an intense one, based on something familiar. So, the next time you see one of these sprites in your backyard, don’t pick it, even though you might consider it to be a weed because it looks out of place with a manicured lawn. Pinks are interesting – they’re attractive, they have a neat history, and back home in their motherland they are on the decline. Let them thrive here – go pink.